Wellness Strategy Map: What is it and how can you use it? Before I jump feet-first into this topic, I write this from the perspective of generating some conversation. This is a work in progress, but one that I think adds to the strategy side of the conversations around wellness. All stated measures are examples and are not the end-all-be-all. This is solely an opinion piece. What is a Wellness Strategy Map? A strategy map provides executives with a comprehensive framework that can translate a company’s wellness vision and strategy into a coherent and linked set of performance measures. The measures should include both outcome measures and the performance drivers of those outcomes. When senior executives articulate the desired outcomes of their wellness program, they can channel the appropriate resources and abilities of key personal throughout the organization to achieve the organization’s long-term goal. There are four main components of a strategy map that support a balance between short and long-term objectives, between desired outcomes and the performance drivers of those outcomes, and between hard and soft objective measures. The four components from macro to micro are: Financial (both non and actual), internal customers, internal business processes, and learning and growth. This is defined by the long-term wellness objectives for the organization. Traditionally, organizations want hard ROI from their wellness programs, however there is a movement to pay less attention to hard ROI and more attention to softer measures of wellness success. The choice of hard vs. soft is typically reflected by organizational culture. I believe striking a balance between hard and soft ROI metrics is the most beneficial. To drill down a bit more, organizations are at various phases in their wellness journey and these can be termed: initiation, static, and retrench. Initiation phase (0–12 months): At this phase organizations introduce a new wellness program. During this phase the financial objectives are more soft and emphasize engagement, program awareness, and positive employee incentives, etc. Static phase (12–36 months): At this phase a wellness program is filling out its wellness initiatives and working on refining the current offerings to fill any gaps in the wellness program. During this phase wellness programs are expected to maintain their level of engagement and perhaps grow it year-to-year. During this phase, organizations are trying to create and measure firmer financial objectives. For example, sick days, presenteeism, emergency visits, biometrics, and general health care costs. Retrench phase (36 months and greater): At this phase specific wellness programs have matured and may be coming to an end of their life cycle. An organization needs to do a full evaluation of the financial impact of one or many of the current wellness offerings. This may result in a pruning of the tree. Both soft and hard measures are being used here and typically organizations should focus on engagement, healthcare cost and overall corporate culture. The customer perspective of the strategy map helps human resources, or wellness professionals identify the internal customer segments. The internal customer perspective typically includes several generic measures of successful outcomes from a well-formulated and implemented strategy. There are many generic outcomes such as employee satisfaction, program retention, new wellness participation, per employee cost/saving, and target segment share. Though these proposed measures are generic, it is important that they are specific to the targeted segments. satisfy internal stakeholders’ expectations of better engagement, health care ROI and corporate culture. The measures in this section should focus on the internal processes that will have the greatest impact on employee satisfaction, program retention, and financial objectives. A secondary aim is to move past existing processes and identify entirely new processes at which the organization needs to excel to meet the internal customer and financial objectives. The fourth and final strategy map phase identifies the infrastructure that the organization must build to create long-term growth and improvement. Both the internal customer and the internal business processes help identify factors most critical for current and future corporate wellness success. However, people systems, and organizational procedures play an important role. The financial perspective, internal customer, and internal process objectives on the strategy map usually identify gaps between existing capabilities of people, systems and procedures and what is needed to achieve wellness targets for breakthrough performance. These gaps need to be closed. To do this, organizations should be thinking about investing in re-training employees, enhancing internal communications, and aligning organizational procedures and routines. These types of objectives are articulated in in the learning and growth perspective of the strategy map. In a similar fashion as the internal customer perspective, generic measures could be employee satisfaction, program retention, and employee program offerings. Specific drivers such as detailed indexes of specific skills (energetic, positive attitude, optimist) are required to develop a new organization culture. Additionally, organizational procedures can examine the alignment of employee incentives with overall organizational success factors, measured rates of improvement in critical internal customer base and internal processes. Linking measures to a single strategy. Thus far I have provided the various levels of the wellness strategy map, but a strategy map is much more than a conglomerate of critical indicators or key outcomes categorized into different perspectives. 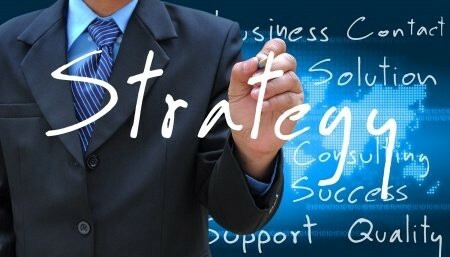 For the strategy map to be effective, it should be comprised of a linked series of objectives and measures that are both consistent and mutually reinforcing. if wellness initiatives have higher retention rates, then, employee engagement will increase. If a strategy map is correctly put together, it should tell a story of the organizations’ wellness strategy. All measures used should create a relationship (hypotheses) with the stated objectives in the various perspectives. These objectives should also be explicitly stated so that they can be managed and validated. When using cause and effect statements, they should begin with the learning and growth perspective linking objectives to internal business process perspective, then to the internal consumer perspective, and finally to the financial perspective. One final point, creating the strategy map can require two-to-five separate measures per level, thus creating upwards of 25 measures. This can be seen as highly complicated, but a strategy map needs to be viewed as an amalgamation of a single overall wellness strategy. To summarize, the aim of a strategy map is to allow an organization to attach objectives to outcomes in a meaningful way under a unified strategic voice. What This Might Look Like in A Wellness Space. This proposed strategy map can be sliced a lot of different ways, but what is important is that the strategy reflects the organizations goals and objectives. Originally published at https://www.linkedin.com on April 1, 2015.